Khichdi is one versatile dish - it is great on its own but even better with an accompanying pickle or chutney. There are numerous versions of it but this one is popular with even with babies. It is a delicious way to sneak veggies into your children's' food. Khichdi, when ready, must have the consistency of very thick porridge. 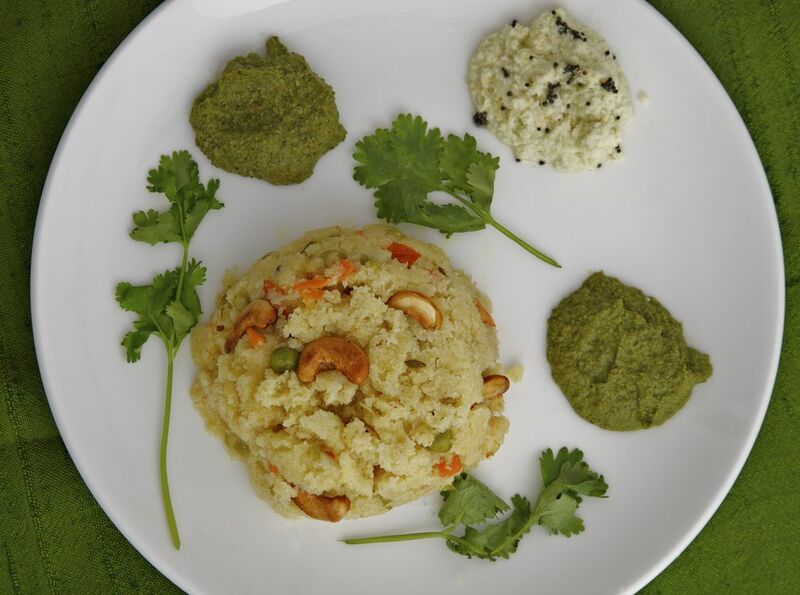 Khichdi can be cooked in standard cooking pot but is prepared fastest in a pressure cooker. Heat the cooking oil in the pot/ pressure cooker on medium heat. When hot, add the cumin seeds and dry red chilli to it. Fry till the sizzling stops, then add the ginger and garlic pastes. Fry for 1 minute, stirring frequently. Add the chopped tomatoes and fry till soft and pulpy. Add the spinach and stir. Now add the rice, Toor daal, salt to taste and the 3 cups of water. Stir well. Allow the water to come to a boil and then put on the cover of the pressure cooker. Cook till you have heard 3 whistles/ pressure releases. Turn off the heat and release the pressure from the cooker. Open the cover. The Khichdi should be cooked now. If you are using a standard pot, cook on medium heat. When the water comes to a boil, reduce the heat a little and cover. Check occasionally and stir to prevent burning at the bottom and to ensure even cooking. Cook till the rice and daal are soft and most of the water has dried up. Add more, as required, to maintain the required consistency. When cooked, serve with yogurt and your favorite chutney or pickle!